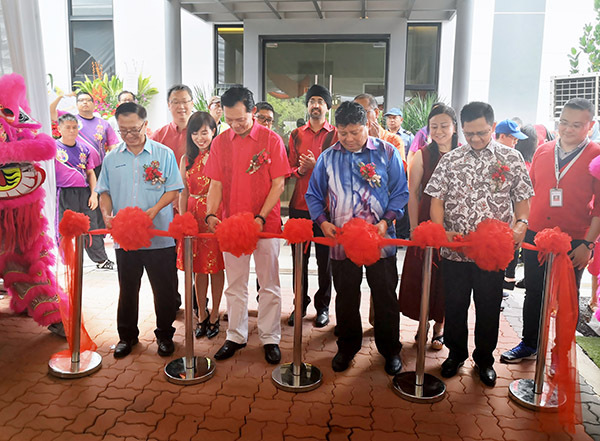 UMLand Seri Austin launched their affordable residential apartment project known as Camellia Residence in Seri Austin North in conjunction with their Chap Goh Mei celebrations. The event was officiated by Exco of Public Works, Infrastructure and Transportation Haji Mazlan bin Bujang. With a gross development value of approximately RM89 million, Camellia Residence is a freehold project comprising two 20-storey residential towers with a total of 300 units. “This is the first launch for Seri Austin in 2019. Despite the soft market conditions, we have still delivered on our promise to offer affordable housing to the people,” said KK Wong, CEO of UMLand Seri Austin and Group Director of Townships, UMLand. Camellia Residence is expected to be completed by 2022, and the built-up area of the units range from 657 to 950 sqf with 8 units per floor. There are three types of designs to choose from and the prices of the units range from RM279,500 to RM375,250.